Your Brand Is Having a Social Media Crisis – Quick, What Do You Do? We’ve all seen what going viral in a “bad way” means. One bad tweet and then a few tone-deaf responses to criticism and your entire brand gets burned to ashes online. It takes years to build a brand and a few bad reviews to ruin it. Learn how to prevent a PR crisis and the best way to handle an erupting social media volcano. It’s far easier to prevent a crisis than rebuild from one. Get your team together and brainstorm worst-nightmare scenarios, the ones you don’t really want to think about. Not only is this a good exercise, you might also discover your weak spots. (For example, if people keep bringing up safety concerns, you might want to take a deeper look at your security plans). Triple-check all of your communications—are you being inclusive, honest and fair? For a good example of a PR crisis, take a look at the numbers of dislikes on this Pepsi ad. Not only did Pepsi put an insensitive ad out, they made the situation worse by trying to defend the ad on social media. That’s 59k thumbs down for Pepsi. • Set up a crisis communications team. If you don’t have a PR person on staff, include at least one manager, a few people who monitor and a solid writer to craft the message. Have everyone’s contact info in a printed spreadsheet on-hand. • Monitor all hashtags and handles related to your event. It’s relatively easy (and free) to do this for Twitter in Tweetdeck. Just add columns with your company and event’s name and any relevant hashtags or handles. Check in on it often, especially during your event. • Set up Google Alerts for your company or event name. Any press regarding your event will be sent to your inbox. You can set up the alerts to come as frequently as you prefer. • Define crisis and communicate that definition to staff. Is a crisis a few bad reviews or a thousand? Develop a flowchart that matches the situation with your contact list so you know, at-a-glance who to contact, when. • Your first instinct will be to react and defend yourself and your company. Don’t. Take a minute, breathe deeply and gain composure. • Get a good sense of what’s happening and what social channels people are using to communicate. Call your team. • If the problem is not yet fixed, compose a message that expresses empathy and let’s them know it will be soon. Own what went wrong and what you could have done better. Avoid flippancy, negativity, and above all, defensiveness. Strive to be relatable and mention what you’ll do differently moving forward. Be human. Imagine that you had to apologize to a friend for a mistake. Your first step is admitting fault, then you talk about what you’ll do differently in the future to try and salvage the friendship. Don’t make excuses or get defensive. You have to “make it good,” to your customers, but it has to be in the right way. If they had a horrible time, they probably aren’t into the idea of a 5% discount to the next show. “Looking in the mirror is the best PR advice there is when dealing with crisis situations. It ensures we do the right thing. And right beats spin every time,” said Kim Miller of Ink Link Marketing, LLC. in this Forbes article. Have you ever endured a social media or PR crisis? Comment below and tell us what you learned. Tags: communications, diysocial, Facebook, public relations, Twitter. Got the event launching jitters? Sasha from our promo team gives solid advice on the most effective way to announce an event on social media. This strategy will help you get all those likes, shares, “going” and “interested” pouring in. Use steps 1-5, before announcement and steps 6-10 at announcement. Timing is crucial to ensure as many people as possible see your event. If you make your announcement at an hour when folks are likely asleep, at work or otherwise occupied, the announcement could flop. The best time to announce an event on social media is generally in the morning around 11AM (in your event’s timezone), so that it will be up and visible when most people check their Facebook at lunch. The day you choose is important as well. Monday through Thursday is ideal, as people tend to have more unpredictable schedule on weekends and may miss the announcement. Be attentive to other factors: it is ill-advised to announce on a date when there is an event that is similar to yours, or if there is big news that day, e.g. World Series Game, eclipse, UFO sighting, you get the idea. You will want to have your Brown Paper Tickets ticketing page up and ready to go so that people can purchase tickets when they know about the event. Our system makes it easy to schedule the date when your sales begin, so you can create the event ahead of time, and have sales go live automatically when you announce your event. Compelling visual images are essential for effective event promotion. Your flyer design is more than the who/what/when/where/why; it’s the face of your event, so you want to make sure it looks good wherever you post it. The key is properly sized flyer images. Create or ask your designer to create three versions of your flyer image, since they may need to adjust the layout for each one. If three separate designs are a bit too much, it’s still advisable to create some version of your flyer that will fit each of these sizes with all text visible. Uses: Printing handbills and posters, general posting. While the standard size for printing flyers is 5.5 x 2.125in (a quarter of a standard 8.5 x 11in sheet of paper), the size listed above is big enough that it can be printed onto a poster or a flyer. However, because of the size of the image, the image will have a large file size. You may consider asking your designer to create a smaller version for social media posting. Before you launch your event, write out the text you will post when you announce your event on social media. This post should be clear, concise and engaging, and contain basic details to stir up excitement. Your goal is to get people to like, comment, or share the post, so make sure the content draws people in while staying on-brand. Be brief. While you want to provide the important details, you don’t want the post to end up too long. Aim to strike a balance between informative and concise. The whole point of a good announcement is to make a splash, and the best way to do this is by having as many people as possible posting simultaneously about your event to get the word out. Make sure anyone helping you with your event or willing volunteers (coworkers, friends, family) are available, at their computers, are given specific instructions to post about the event and send Facebook invitations to their friends. This team who agrees to help you ahead of time are your primary promoters. As you’ll see, a number of the following steps require you to communicate and work directly with them to maximize your announcement’s impact. Learn how to create Facebook event pages with these easy instructions. Host: This field allows you to specify your event’s host. If you have a Facebook business page, you will be able to select either your business page or your personal page. You can always add other people as hosts later. Depending on your settings, hosts have the ability to edit the event, or to add other hosts. Event Photo: Use this field to upload your event’s banner image. The image will appear at the top of your event page. If you don’t have a flyer, consider using an image related to your event, a photo from a past event or a stock photo of relevant subject matter. As mentioned in Step 3, however, having a properly sized flyer image greatly improves the look of your event page, catches people’s attention, and provides all the necessary information about your event in one place. Event Name: Enter a short, clear name for your event. Your event title may not be in all caps, and cannot contain excessive amounts of symbols. It also helps to make your event title easily searchable so that people can locate your event easily. “The Beatles Live at the Showbox” is a good title, “***BEATLES LIVE SEATTLE ((@ SHOWBOX))!!! !” is not. Location: Enter the exact location of your event. Many venues will already have their information stored on Facebook, and will appear in the drop down menu as you type in the venue name. If you see your venue appear in this menu, select it. Tags: Type in tags for your event and select the results from the drop down menu. These are based on things that people have selected as interested or “liked” on Facebook. These tags can be specific or more general, but should always be relevant to your event. Examples: theater, wrestling, Seattle techno, hiking live music. Ticket URL: Enter the URL for your Brown Paper Tickets ticket sales page. This will provide an easy and direct link for people to purchase tickets to your event, and will appear near the top of your event page. Co-hosts: If you would like to give anyone else access to edit your event page, enter their names here. If you would like to add another business page as a host, first add the individual who is the admin for the business page, and then they will be able to add the business page itself. 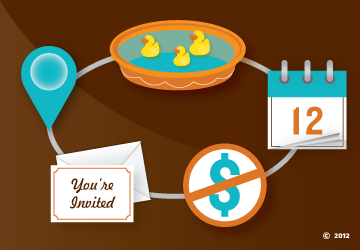 Once your Facebook event page is created, invite your primary promoters to attend. They will receive a notification on Facebook that they have been invited to the event, and this will signal to them that it is up and ready to be promoted. Once you and your primary promoters have clicked “going” on the event, each of you should send as many invitations as you can to anyone on your friends’ list who might be interested. This may be the most important step in the announcement process as it provides an initial promo blast across your networks as well as your friends’ and coworkers’ networks. Think of it this way: if you and 4 other people each invite 500 friends, you’ve just advertised to 500 people instantly, without spending a penny. Once you and your primary promoters have sent invitations on Facebook, it is time to post the pre-written announcement you drafted in step four. 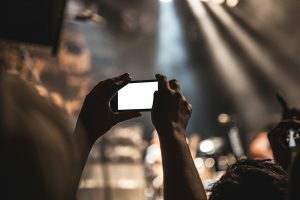 Posts that do not explicitly mention the fact that they are promoting an event and avoid using certain key words such as “event,” “buy tickets” or other terminology that clearly indicates your post is (essentially) an advertisement. Posts that do not contain direct links to Facebook event pages or Brown Paper Tickets ticketing pages. What exactly should you post? Your square flyer image or a visually engaging photo of your performers (or press shots if available,) accompanied by your announcement text that you prepared earlier. Make this post from both your Facebook business page and your personal page. How do you direct people to buy tickets if you can’t link them to the ticketing page in your post? Put the link to your ticketing page or Facebook event in the comments of your own post, after the post has been up for a few minutes. 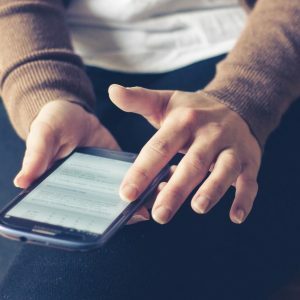 Facebook uses automated systems to detect when people are promoting their events, and if you’re not paying for advertising, Facebook will make sure your post goes to the bottom of your friends’ feeds. Posts with just pictures or text tend to get more “likes” and comments, and are thus seen by more people. You can use this to your advantage; make a post that doesn’t contain an event link–at first. Then add the link in the comments once the post starts to gain visibility. Additionally, post a link to your Brown Paper Tickets ticketing page in the “Discussion” section of your Facebook Event Page, and pin the post (here are instructions). By changing the banner image on your page and on your profile, you are effectively getting an extra promo boost every time someone visits your page. If you encourage your primary promoters to change their banner images as well, it will increase the number of people who see your flyer image across your promoters’ networks. Once your Facebook announcement is done, you’ll want to make sure you follow up later in the evening with an additional post so that anyone who was busy or away from during your earlier announcement gets caught up. The ideal time to make this post depends on your audience, but 6-9PM is usually a safe bet as a lot of people are home. Have a Twitter account? Tweet out your square flyer image and a short announcement about your event. Be sure to tag your artists or performers in the Tweet if they are on Twitter, and create a Bitly link to direct people to your Brown Paper Tickets ticketing page. Read more on effective Twitter hashtagging. To create a short link, use Bitly. For more information on Instagram’s “Link in bio” and why it’s great, check out this article. Don’t forget to cross promote across all your social media channels. Occasionally post a link to your Facebook event page on Twitter, or a link to your Instagram on Facebook. Sending traffic between your social media feeds will help boost your followers across all platforms. Now that you’ve completed these 10 steps, you’re done for the day. From preparation to announcement to the follow up, by carefully planning your announcement you should see a solid response from your social media network. Don’t forget, however, that promoting events is all about the long game. A strong announcement is important, but consistently posting about and promoting your event between now and the event date is just as important. 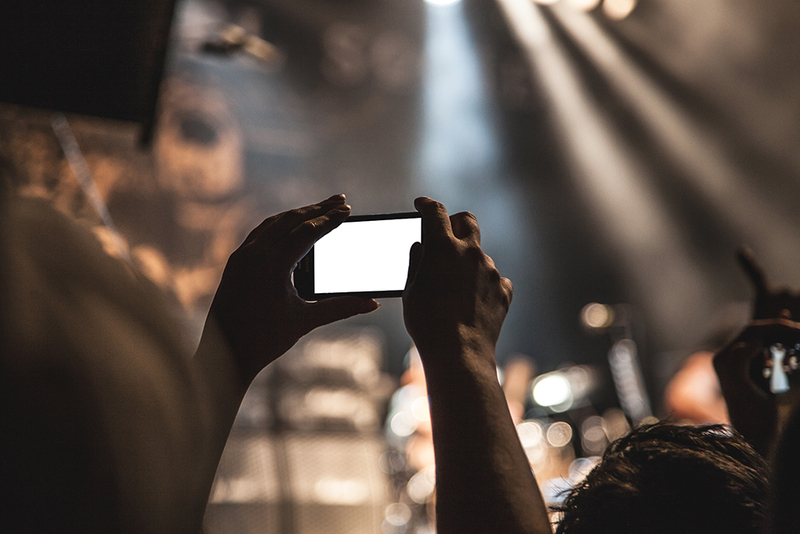 Make sure that the event doesn’t fade from your network’s memories—build hype as it gets closer and closer. 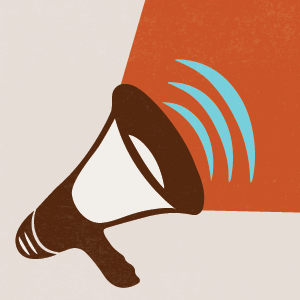 Interested in learning more about announcing and promoting your event? Contact the Brown Paper Tickets promo department. Tags: event marketing, event promotion, Facebook, instagram. Situation: You’ve been asked to plan a community arts event. It needs to be hugely successful, but you have little-to-no budget. Impossible? We don’t think so! Solution: By networking with fellow members in the arts community, presenting your event to neighboring venues and businesses, and building a team of partners eager to support your cause, you are bound to succeed! Utilize these 5 simple tips to help get your community arts event, or any community event, off the ground (and running)! 1. Choose a location that will benefit from increased traffic flow. If it’s a place that’s near and dear to your heart, even better. A venue with power, running water and restrooms is best as you won’t need to rent the infrastructure separately. If you can establish why your event will be beneficial to the venue, it’s possible that you can co-present with them and may not even need to rent the space. Never hurts to ask! Clearly define your cause and share with others. You will be surprised at how easily you can pull together a team of local volunteers who are willing to help in the planning process. This may be one other person, or several people who have different areas of interest and skill sets. Establish a common vision of what the event will be so that everyone is on the same page. Tags: community arts event, Craigslist, Event Success, Facebook, Freighthouse Square, Tacoma, Tacoma Stories, Tacoma Weekly, Tamara Clammer, Twitter, Washington. You’re organizing an event that is special and unique. How do you find ticket buyers that are just as passionate about this project as you are? An affordable and easy option for strategic event promotion is Facebook Ads. With over 500 million active users, Facebook is a hub of potential customers cleanly labeled by age, location, and interests. By targeting your audience online, you could fill the house weeks before your event. Here are a few things you may find useful when setting up your advertising campaign. The listed interests, likes and hobbies of each Facebook user make it easy for you to find people who will be drawn to your event. By associating your ad with industry-specific keywords, you are actively extending your targeted reach. For example, a cabaret variety show might target keywords such as burlesque, circus, or magic. Even better, Facebook allows you to add as many words or “tags” as you want. 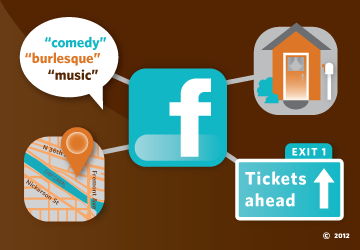 Tags: Brown Paper Tickets, Capito, event promtions, Facebook, Facebook Ads, ticketing.